But let's face it...sometimes time just gets away from us and before you know it, a party you are supposed to be throwing is in a week and you still haven't sent out the invitations. You probably had amazing plans for hand folded flowers popping out of the center of each invite or cute pirate patches that opened with an "ARRGG" to the party details and well, time just ran out. You know what, it's okay. It really is. There are many options out there to quickly, efficiently and still "cutely" invite your friends and family to your upcoming shin-dig by email. 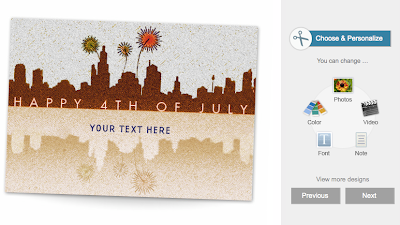 Super cute templates that are VERY editable. You can see from this template that I can edit the color, text, alignment and more. 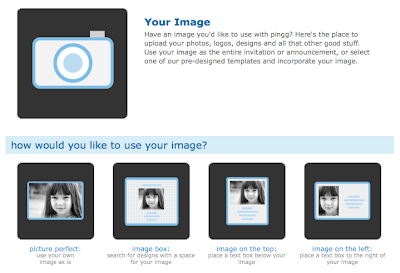 pingg allows you to also create your own image or upload a picture from your computer. 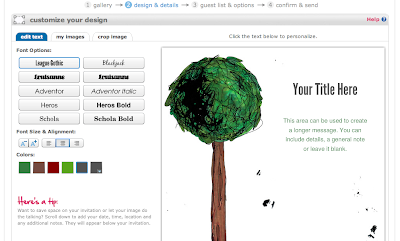 If you have mad Photoshop skills, you could create your invite, upload your image and email through pingg's service. Sample of an emailed invite from Pingg. From this image your guest can see party details and RSVP in one step. They don't necessarily need to go anywhere else for more party information, but can click through to your event page. I like this setup because your guests get all of the info they need and can RSVP right from the email. 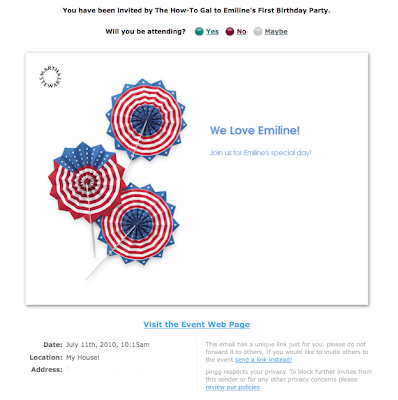 evite lets you edit the main image and text of the invitation, but not much else. 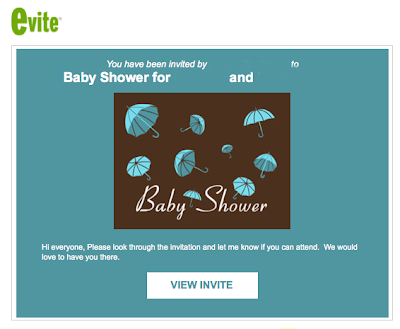 Sample of an actual emailed invite from evite that I received. 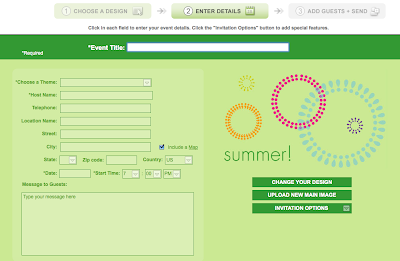 From this image the invitee has to click on "View Invite" to see the rest of the information. However, other evite templates have all of the information right in the body of the email. Just make sure to preview your invite if you don't want your guests to take the extra step. MyPunchBowl has super cute templates that are very easy to edit. Not only can you edit the template itself, but you can see how you can add a photo, a video, change the color, font and leave a personal note. 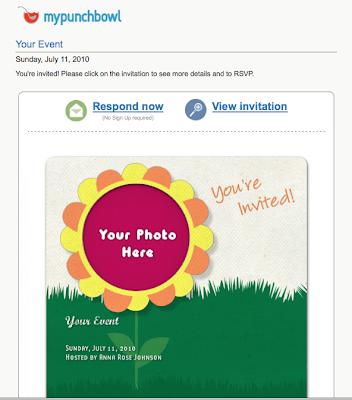 Sample of an emailed invite from MyPunchBowl. You can see that I didn't personalize it much, but your invitee can easily RSVP by clicking the "respond now" button at the top. The best part about all of these services is they keep track of your RSVPs for you! You will need to create a free account with them, but every time someone RSVPs to your party, you will know it. For those of you who have done it the old fashioned way, you'll agree with me when I say that getting RSVPs via phone is very sketchy- it's so much easier for people to RSVP with a click! Hopefully today's Techie Tuesday has shown you that emailed invitations can be just as cute and personalized as handmade invitations...just A LOT faster! *I was not paid by any of these companies for this post...I just really like their products and wanted to share!